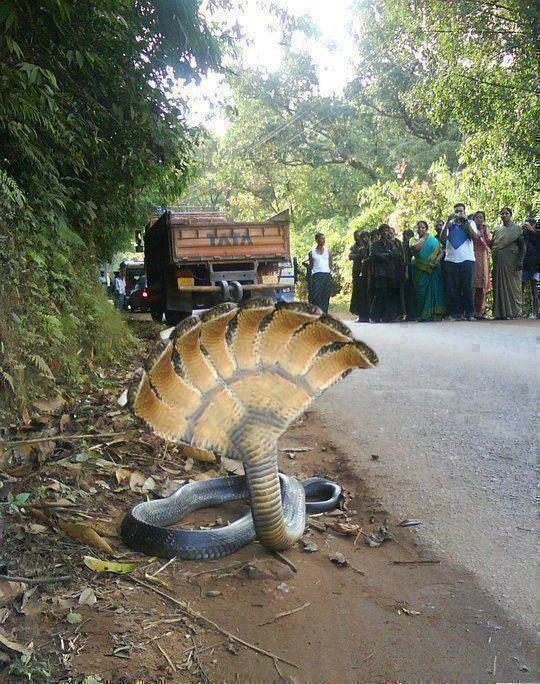 Is the 3 headed snak&#101; in India real? 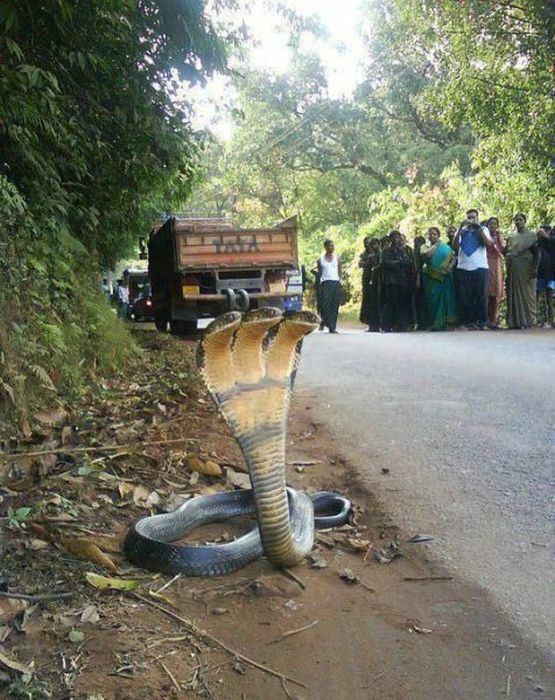 Is the 3 headed snake in India real? 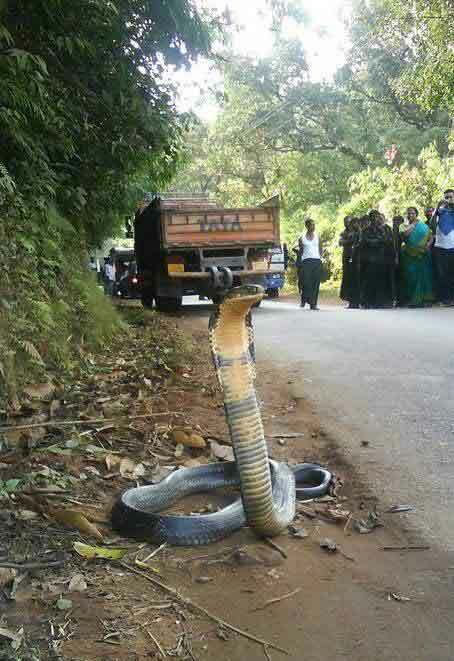 As you can see the picture shows a Tata lorry stopped in the background and a group of people on the far side of the road watching and taking pictures of a yellow and black three headed snake. The fact that there’s a group of people watching and taking photos of the snake that make it convincing. After all, if the snake didn’t have three heads then why are people taking pictures? If you really dig into this photograph mystery you can find the original picture. This isn’t a three headed snake. It’s just a photoshop illusion. In fact, someone has taken the trick even further and created a funny hyrda version of the same snake. The photoshopping may not be as good, the effect clearly fake but it does emphasis the point.